Welcome to Lazy-i, an online music magazine that includes feature interviews, reviews and news. The focus is on the indie music scene. 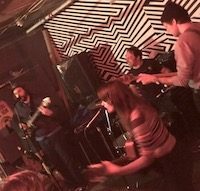 Yes, there’s a special emphasis on the best original bands in the Omaha area, but Lazy-i also offers interviews, stories and reviews about national indie bands. Most of the feature stories and columns in Lazy-i will have previously been published in The Reader, Omaha’s monthly alternative newspaper. David Dondero at The Concert for Equality, 7/31/10. He plays tonight at Reformed, Studio and Assembly Space. This line from a Jan. 3 Chicago Tribune article about 2019 Maha Festival artist Beach Bunny caught my eye: “Beach Bunny’s songs are intimate and practical in a way that recalls Liz Phair — with whom Trifilio is unfamiliar.” First thought: How is that possible, especially for a female indie artist? But then I quickly realized that Exile in Guyville came out 26 years ago, about four years before Beach Bunny frontwoman Lili Trifilio was born. The story’s next sentence was more curious than anything: “But like Phair, her audience is heavily comprised of young women.” Was Phair’s audience ever heavily comprised of young women? Anyway, Beach Bunny’s music in no way resembles Phair’s. 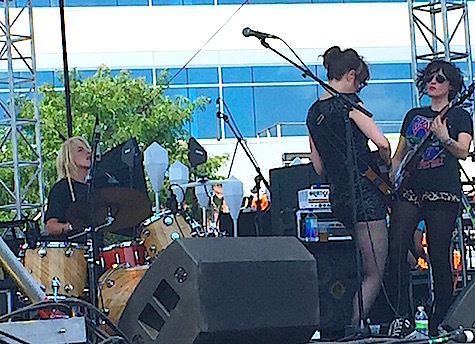 It sounds more like Alvvays or Middle Kids or even fellow 2019 Maha Festival artist Snail Mail, a somewhat hot indie act whose 2018 debut, Lush, was released on Matador. 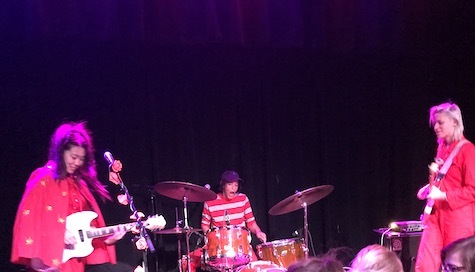 Snail Mail’s played Omaha before. These two artist seem like natural complements for a festival that includes other powerhouse women-led indie acts like Jenny Lewis and Courtney Barnett. Duckwrth, an artist I’ve never heard of, appears to be playing the role of the representative male hip-hop artist. There’s not much about him online. He released his debut solo album I’m Uugly in 2016. Matt Maeson is another mystery to me. 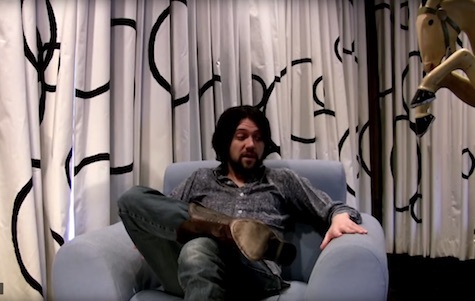 He’s released three albums on Atlantic starting in 2017 and has some connection to Mumford and Sons’ Ben Lovett. His first solo tour was presented by Communion, Lovett’s organization. I’m not sure how you’d describe the music, though I’d agree with All Music who compares him to Mt. Joy. Who am I missing from this year’s line-up? Oh yeah, Matt and Kim. They played Maha back in 2013, and if I remember correctly, the crowd loved them, which I assume is why they were asked back. One other act of note that’s sort of playing the festival is Touch & Go artist Pinback. The San Diego band, who released the bulk of their albums in the ’00 era, is a favorite among indie rock enthusiasts, including myself. They’re playing at The Waiting Room the Thursday night before the music portion of the festival kicks off, for a flat $15 ticket price, which makes me wonder if they weren’t already booked at TWR before Maha started planning 2019’s lineup. 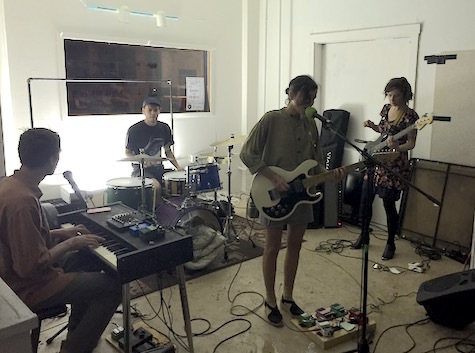 Maha continues to support local artists, though this year’s selections is a collection of bar bands who play the local scene and haven’t done extensive touring: Muscle Cousins, Bach Mai and Domestic Blend. I’d be curious how these acts were chosen. Also on the bill is DJ Shark Week and Esencia Latina Band. Quite a contrast to last year’s highlight local act, David Nance, who has recorded a couple nationally lauded albums and toured the U.S. and overseas. I’m surprised Barnett is playing Friday night instead of Saturday, but I assume it’s more about her schedule than theirs. There’s only two acts on Saturday that are pulling me in: Thee Oh Sees and Lizzo. Friday night is rocket fuel. I’m running long, so we’ll talk about ticket prices next week. 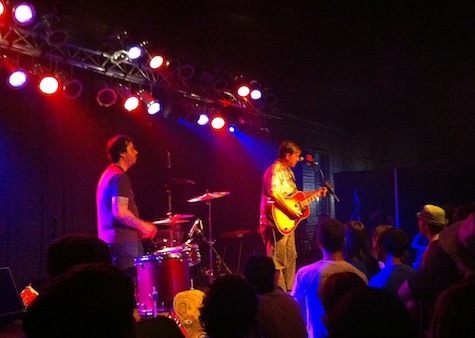 Singer/songwriter David Dondero is playing tonight at Reformed, Studio and Assembly Space, 3101 So. 20th St., just south of 20th and Vinton. I’m not familiar with this venue, but I think it’s a church. Dondero has played through Omaha for years and is a pal of Conor Oberst, who has cited him as an influence. Joining him is Tom Bartolomei and Mark Johnson. $10. 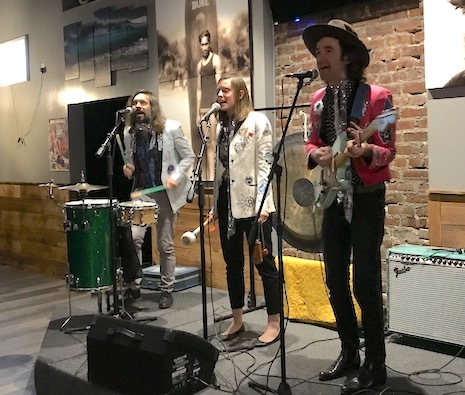 8 p.m.
Jason Steady and the Soft Ponies at Burrito Envy, Oct. 26, 2018. Jason returns with Chris Twist tonight for an early 7 p.m. album release show. By now you’re familiar with this year’s Maha Festival line-up. 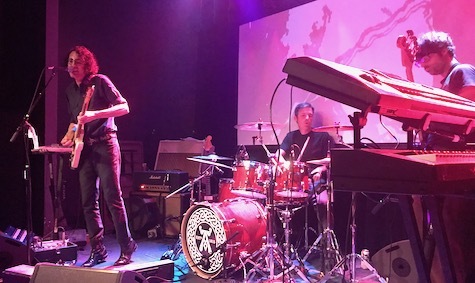 On the day they announced the bands I was thrilled, and said something like “I’m going to provide an in-depth review Monday, blah-blah-blah…” But Monday came and I didn’t have time before work; same thing Tuesday. And now here we are, and while I think it is, indeed, my favorite line-up they’ve ever put together, I’m wonder how well it’ll draw. No doubt the audience for Lizzo isn’t your typical indie fan. Her new record, Cuz I Love You (2019, Atlantic), is getting positive/mixed reviews (some complained she’s trying too hard to make a hit). And no doubt she’ll be touring late night TV for the next few months. Jenny Lewis and Courtney Barnett are personal favorites. Lewis has a hot new album, On the Line (2019, Warner Bros.), and is a long-time friend of the Nebraska scene from way back in the Saddle Creek glory days. Barnett has written some of the best indie songs in the past few years. Her record that came out in 2018, Tell Me How You Really Feel (Mom + Pop Records) was on my favorites list. 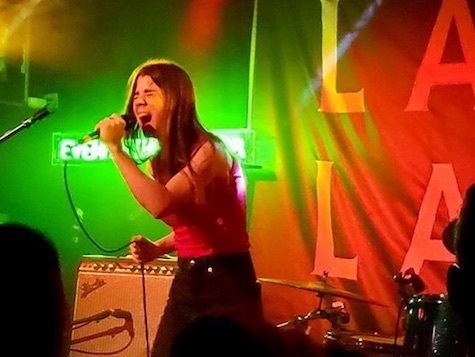 The caveat for Barnett – I’ve seen her perform at SXSW a few years ago and she basically just stood up there and played with little crowd interaction, so it was kind of a snore, but… great music. The highlight of the line-up (for me, anyway) is Thee Oh Sees. A garage/psych-rock band that in my opinion blows away anything Jack White has ever done. I’ve been bitching for years that this band has avoided Omaha/Lincoln on all its national tours, which made me think they had something against Nebraska, though I know a lot of rabid Oh Sees fans around here. 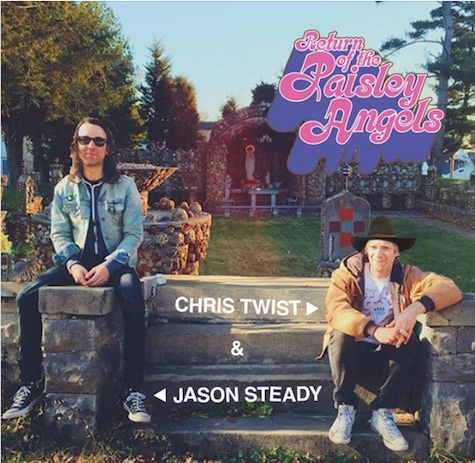 Tonight at, of all places, Burrito Envy & Tequila Bar in Benson, Chris Twist and Jason Steady are celebrating the release of their new album, Return of the Paisley Angels. I’ve seen Steady play at the burrito place and it’s a surprisingly good venue for what’s essentially an low-volume / unplugged-type country rock show. I’ve written about these guys a few days ago (read it here). Lincoln duo Smith’s Cloud opens at 7 p.m. – yep, it’s early. But the whole thing is free so you’ll have plenty of cash to buy a margarita or a taco. Fun!